Municipal leaders face hundreds of difficult choices every day. With so many needs and worthy programs, how does one choose where to invest limited funding? In the face of pressing human needs, cities too often decide that funding for environmental programs will have to wait. But pitting people against nature in this way offers a false choice. We need not decide between supporting people in cities and protecting the natural systems that we all need to survive. Rather, by bringing more nature to cities and managing our collective resources well, we can help achieve the United Nations’ Sustainable Development Goals and meet The Nature Conservancy’s ambition to conserve the lands and waters on which all life depends. SDG 11, Sustainable Cities and Communities, aims to “Make cities and human settlements inclusive, safe, resilient and sustainable.” It is not only the engineered urban development solutions that will help the world achieve this goal – natural systems have a critical role to play. In fact, by protecting and enhancing biodiversity, we can actually better serve the needs of the billions of people around the world who live in cities. Nature has a clear and significant role to play in SDG 11, and a path to success is laid out in the New Urban Agenda, a global declaration of “cities for all,” that was codified at the 2016 Habitat III conference in Ecuador. 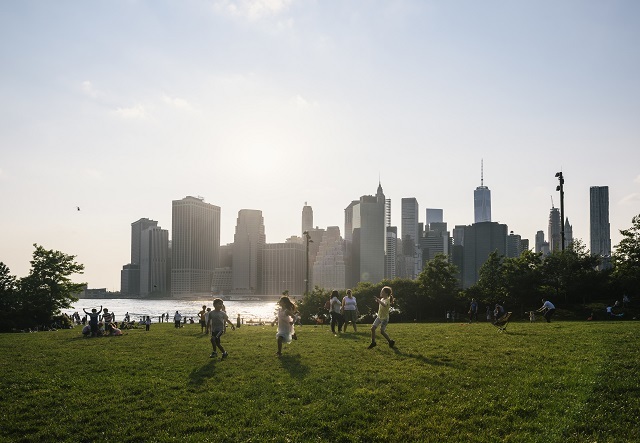 The New Urban Agenda acknowledges and articulates the connections between greener cities and healthier, more resilient cities, and calls for the benefits of nature to be equally accessible to all residents. This collective vision for “well-planned urbanization” that accounts for how the built and natural environments work in tandem, not in opposition, to make our cities more livable will be key as cities around the world swell to adapt to growing human populations. Creating and protecting safe, inclusive and accessible green spaces can bring myriad benefits to cities. But nature can do even more. As cities grow and resources are strained, nature can improve human health and well-being by reducing particulate matter in the air we breathe (SDG 3); it can contribute to clean water and sanitation by protecting source water (SDG 6); and when plans incorporate the needs of local residents, access to nature can help address some of the impacts of inequality (SDG 10). Urban conservation doesn’t have to be a separate goal for city leaders to add onto their already busy agendas. It’s an approach that can help city leaders meet their existing goals across many sectors – economic growth, public health, waste management, thriving neighborhoods that attract residents and businesses. Cities need nature. And cities can lead the world. Working collaboratively, cities can drive policy on biodiversity protection, climate adaptation and mitigation and wastewater management to solve national and global challenges. Together, we can make life in cities better for all of us. Joel Paque is Global Cities Program Director at The Nature Conservancy. Can Reef and Beach Insurance Improve Coastal Resilience?